← The Elcheapo plasma ball from a Nixie tube! JP3 is a button used to switch the device on and off. 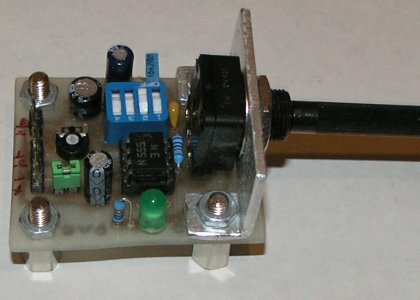 The power supply (anything from 4-12V) is connected onto JP4. JP2 serves as the output for the signal with an ateunator, if we don’t need the full strength (voltage) of the signal, only, say 3V of 5V. We can set the output value by R2. JP1 gives the full strength of the signal, with a current depending on the 555 type you use. R3 is used to set the frequency within a range chosen by the DIP switch S1. This entry was posted in Other, Projects. Bookmark the permalink.